The problem is how do we move forward now to protect the public and to encourage farming and food self-sufficiency? A recent Civil Beat article was entitled “Calling Out Anti-Science Denialists.” The gist of the article is that it is “anti-scientific” to be concerned about the toxicity of pesticides and that further regulation is not necessary. Please find below some of the science that should make all of us concerned. For the record, I was one of the two physicians who worked on the Joint Fact Finding (JFF) report and I am a board certified pediatrician. • The American Academy Of Pediatrics (AAP) stated in the opening lines of their 2012 Policy Statement that there is “increasing concern” about the “adverse health effects” of low-level exposures on children and on the unborn. Medical training in the past has been about acute poisoning. The new and rapidly increasing concern is on the effects of these chronic low-level exposures. • The American College of OB-Gyn has declared that “reducing exposure to toxic environmental agents is a critical area of intervention for obstetricians” and pesticides lead their list of potentially toxic substances. • Project TENDR, consists of leading North American “scientific and medical experts.” They state that “we are witnessing an alarming increase in learning and behavioral problems in children. They state that there has been a 17 percent increase in developmental disabilities in just the past 10 years. Pesticides also lead their list of environmental toxins of concern. • Well-respected studies done by universities in California are showing increases in autism, decreases in IQ, and increases in behavioral disorders in the children of mothers who were pregnant and lived near agricultural spraying or worked in agriculture. Some of these studies have correlated these adverse findings with finding pesticide metabolites in the urine of the mothers under study. • The prestigious long-running Agricultural Health Study has shown associations between pesticide use and cancer, Parkinson’s disease, endocrine disorders, asthma, neurologic disorders and a variety of other diseases. My prediction is that the world will move towards less pesticide-intensive farming as the science continues to show the adverse effects of toxins in our environment and in our food. • The second most heavily sprayed Restricted Use Pesticide (RUP) on Kauai is chlorpyrifos. The EPA recently published a review of 1,400 studies and stated that at normal levels of spraying this chemical is “likely to adversely affect” 97 percent of endangered species. • Chlorpyrifos has also been closely linked to neurologic disorders in children. 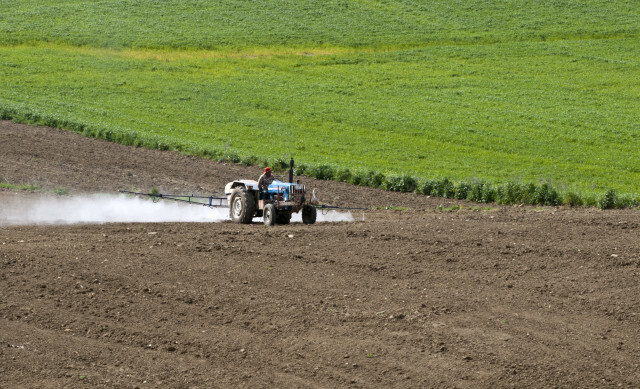 • The EPA is calling for a ban of chlorpyrifos for agricultural use due to concerns about its toxicity, worker safety, and the contamination of surface water. According to The New York Times, the proposed ban has been stalled for more than a year due to push back by Dow Chemical. The author of the Civil Beat article also criticized the state-sponsored Joint Fact Finding (JFF) report for “fear mongering.” The JFF report states simply that the West Kauai Communities are unhealthy communities by most measures available for review. The report further states that association does not prove causality. It concludes that if there is real interest in knowing if pesticides are adversely affecting the community, there should be environmental testing for pesticides in the soil, house dust and surface water with associated biologic monitoring. As mentioned in the title of this article, the science is clear, compelling and worrisome. The solutions are obviously much more complex. My prediction is that the world will move towards less pesticide-intensive farming as the science continues to show the adverse effects of toxins in our environment and in our food. Expand the current Kauai-based good neighbor policy to the entire state and make it verifiable and mandatory. Establish science-based buffer zones around sensitive areas. These would not be uniform and we may be able to use California’s efforts in this direction as a prototype. The results of the environmental testing could also play a role in establishing these buffers. Provide for environmental monitoring in communities that may be at risk for exposure to pesticides. This would mean environmental testing of house dust, soil, surface water and perhaps biologic monitoring of populations at particular risk such as pregnant women. The JFF called for expanding the pesticide oversight committee which now is under the Department of Agriculture. A recommendation has been made that such a committee would be better served under the Department of Health. This is probably a good idea. I believe that our first concern should be the larger agricultural companies which are using large amounts of RUPs. It should also include golf courses and termite companies. The bills should clearly exclude farms using minimal to no RUPs. There will be increasing international pressure to include non-RUPs such as glyphosate (Roundup) and perhaps pyrethrins in the disclosure statements. I believe that at least the annual amounts of these pesticides should be disclosed by all government organizations and by all companies who use these chemicals over a certain threshold. There should be public notice of all pesticide spraying in parks and in other areas that children might play. The responsibility for pesticide regulations has been clearly placed in the hands of the state legislators and the process to date has not been encouraging. I hope that some type of conferencing could be done to allow the remaining Senate bill on the JFF recommendations to move forward. 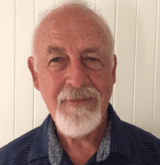 Lee A. Evslin, M.D., is a Board Certified Pediatrician who has lived and worked on Kauai since 1979. he is the former CEO of Kauai Medical Clinic and Wilcox Hospital. Dr. Evslin also was a member of the state-appointed Joint Fact Finding Task Force (JFF) on pesticides.